How Can You Help Family Members Overcome Drug And Alcohol Addictions? Drug and alcohol addiction can be a destructive force in the lives of addicts and the people around them. If you have a family member who is struggling with addiction, then you need to act to get that person help. Do not delay. You can do several things to help family members overcome drug and alcohol addictions. The first tip is to be available for your family member within reason. Be available to talk about things and to just listen. This can be very important. If you are compassionate and available to talk, then you might help your loved one realize that treatment is the only answer. You want to set and enforce boundaries. Some people will continue abusing drugs or alcohol until serious consequences occur. You need to have strict rules such as never coming over drunk and never drinking in your presence. Enforce those rules and boundaries without exception to make the point substance abuse is not tolerated. Take some time to get educated about addiction. Read about the potential causes of addiction and the struggles that people with this disease must go through. If you have a good understanding of addiction, then you can speak from authority when talking to your loved one. Immediately stop any enabling actions. This can include giving the person money, driving the individual to a drug dealer or even ignoring the substance abuse. You need to make it very clear that you will not support, provide or enable anything that could potentially lead to drug or alcohol use. Get literature or website addresses for rehab centers and bring them to your family member. You want to gently suggest an inpatient rehab program. Do not make ultimatums. Sometimes taking about rehab will make your loved one realize that professional treatment is the right path towards recovery. Willow Tree Recovery offers a safe environment for those struggling with addictions. While it’s important that you don’t support the addiction, you should never complete distance yourself from your loved one who is struggling. Even if it has gotten to the point where you don’t want them in your home anymore, it’s important to be available through texting or email for support when they need it. You need to act fast if you notice the addiction is starting to take a toll on your family member. Waiting too long could lead to serious legal, financial or physical problems. If you can get your loved one the treatment they need, then you could be saving a life. 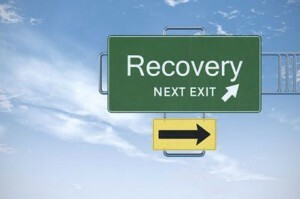 3 Responses to How Can You Help Family Members Overcome Drug And Alcohol Addictions? I been experience any kind of addiction, but I guess it is difficult to overcome if you are addicted on drugs, nevertheless, this article has precise point, aside of the rehabilitation, family and good influencing friends is one of the best way to overcome from addiction and start a new beginning with looking forward for the good future. Thank you for the share, Karla..! Hello, Karla! Thank you for sharing your tips of how to help the family member has involved on any kind of addiction. Fortunately, I do not have one, but I will still take note this potent information for just in case. HAHAHA! Thank you once again!